We live in a data-driven world. Everything is determined by data from from the Facebook posts we see to the marketing emails that pile up in our inbox. Somewhere, on a distant computer system, algorithms are run. Numbers are crunched. But for educators, data is very personal. It’s a representation of the hard work they do day in and day out. It’s a representation of a child’s education. That’s why education has a complicated relationship with data: it can be used to distill teaching and learning down to a set of inaccurate numerical values. But data-driven instruction is gaining a foothold in classrooms and schools around the country, showing that data should be about more than high-stakes testing and year-end results. The power of data should be leveraged to make ongoing, informed decisions to adjust instruction to better fuel student growth. It should be used while learning happens, not after the student has moved on. 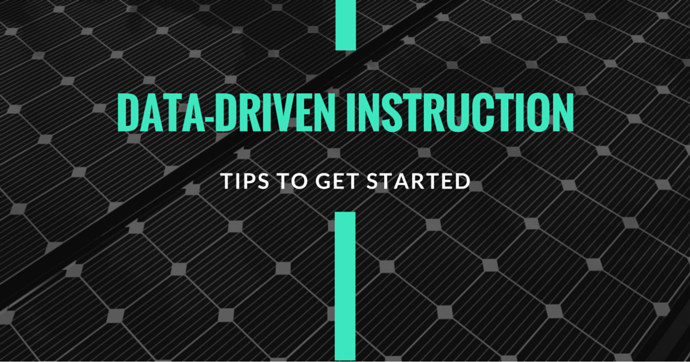 This week, we share a few tips how to start using the principles of data-driven instruction in your classroom. Data-driven instruction helps educators make informed instructional decisions, using information about student learning, to improve learning outcomes. Although there are several variations on the specific elements of data-driven instruction, they all essentially include the following three things: assessment, analysis, action. First, you must assess your students to determine their current levels of understanding. Then you must analyze the assessment data to identify learning gaps and self-evaluate instruction. The final step is acting on that information by adjusting instruction appropriately. Some schools and districts have prescribed systems in place to help teachers track data at a student, class, grade, or school-level. However, many teachers craft their own strategy to make data-driven instruction work in their own classrooms. Regardless if it’s a district-wide or one-classroom initiative, taking the time to formalize your data-driven instruction strategy will lead to a more manageable process and greater success. This may sound intimidating at first, especially if you are new(ish) to data-driven instruction. But it doesn’t need to be. Data isn’t some large, nebulous concept; the reality is that you already use data in your classroom everyday. You probably have mounds of info from student assignments, interactions with students, and more. Defining your strategy is simply taking a more systematic look at data in order to inform your instruction at a deeper level. Auditing how you already use data will highlight what’s working, what could be improved, and what’s missing. Are you using formative assessment regularly? How are you using data from summative assessments? How are you recording data? Which tools do you use to store/track data over time? What are you required to report on by your school or district? When students self-report their level of understanding (using “thumbs up/thumbs down” or “fist to fives”, for example), how do you plan your next steps? What do you wish you knew about your students’ learning? How do you use data to plan for the next moment, the next day, or for the following year? Next, consider other sources of data that may be available to you and which ones you’d like to add to your strategy. Analyzing data from multiple sources helps you create a more holistic view of a student’s learning, which will assist you in making more informed instructional decisions that influence growth. Take the information you gathered during your audit (along with the info on additional data sources) to use as a framework for building your personal data strategy. Each answer will help you craft part of your plan. If you’re brand new to data-driven instruction, or you’re still working to fine-tune your strategy, it’s best to keep it simple. Start by thinking small, perhaps by starting with one class, one unit or lesson, or one month at a time. Starting small will help perfect your strategy before launching it at a grand scale. 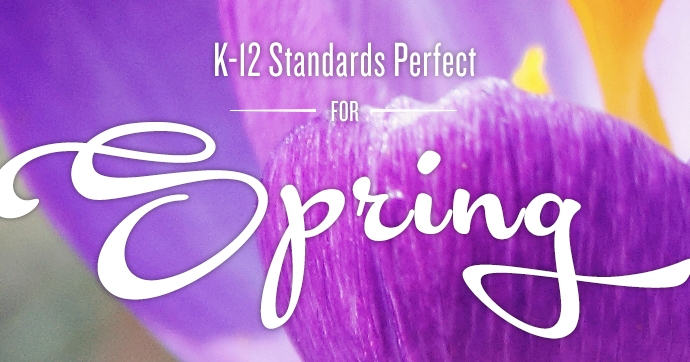 Which standards would I like to assess? How will I track this data over time? What resources or tools are available to me? How can my administrators support my efforts? When will I make time to analyze the data? What are my colleagues doing? How will I use this data to collaborate? How will I communicate about data with students? Parents? What would “success” look like? Once you’ve answered these questions, you’ll have a more concrete idea on how to best approach your personal data strategy. Maybe you’d like to start by using daily exit or entrance tickets to plan the day’s lesson, and then track the day-to-day growth. Or you’d like to focus on a few concepts or standards that your students are struggling with, and then gauge how many students have moved from near-mastery to mastery. However you decide to do it, you’ll soon see that data can empower you to help more students do better. Hear How One Educator Did It! We recently sat down with a NYC teacher to hear how staff at her school leveraged the power of data to move from “remediation” to the top-10 list for most improved math scores in city. Listen to the full webinar to hear their story. MasteryConnect helps over 2.5 million educators worldwide with formative assessment, data-driven instruction, standards-based learning, and collaboration. Get more information about how we can help drive student outcomes in your class, school, or district.